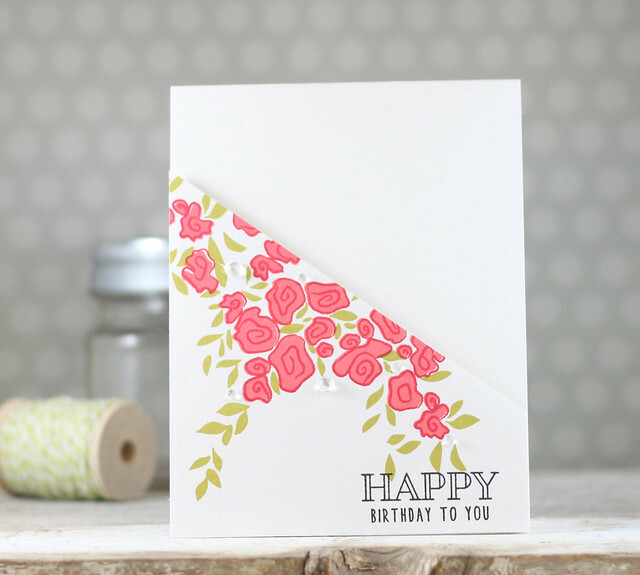 I have another card using my several MFT goodies. 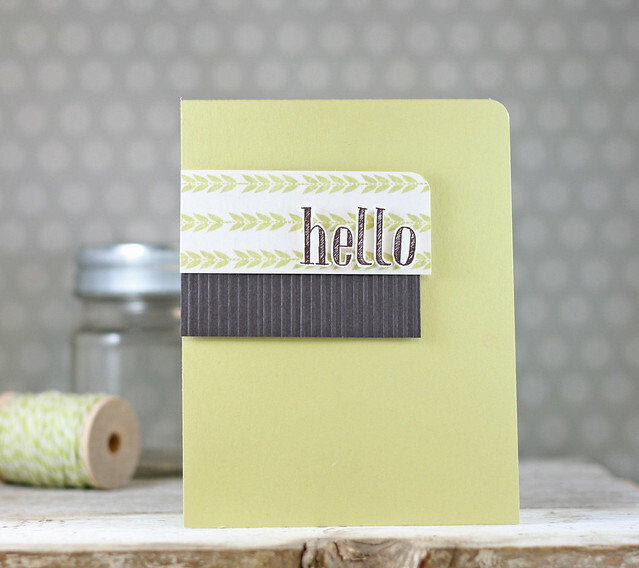 I love love love the new Four Way Chevron Cover Up die and I wanted to use it in a little different way. 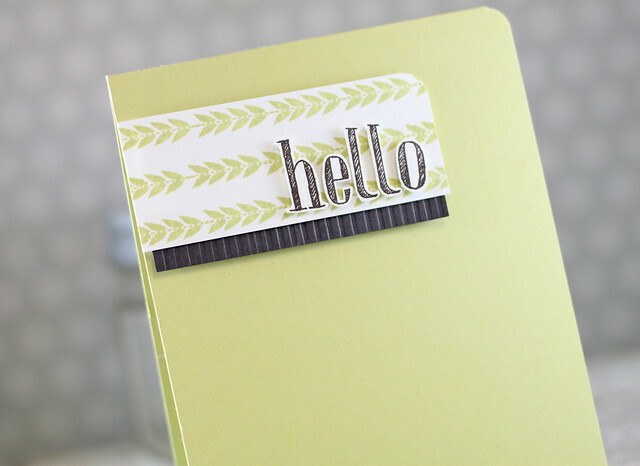 I clipped the top of the cover up die so I could use just a piece of it for my card front. 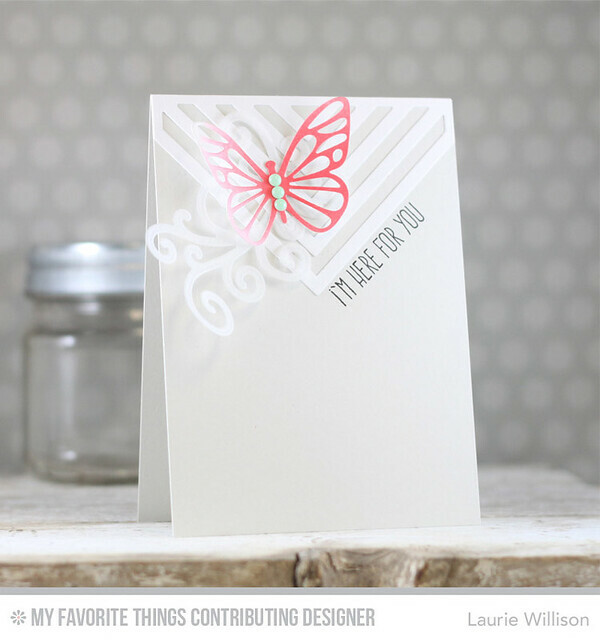 I added in the Pierced Fancy Flourish in Vellum and then topped it off with a butterfly die that I added color to. 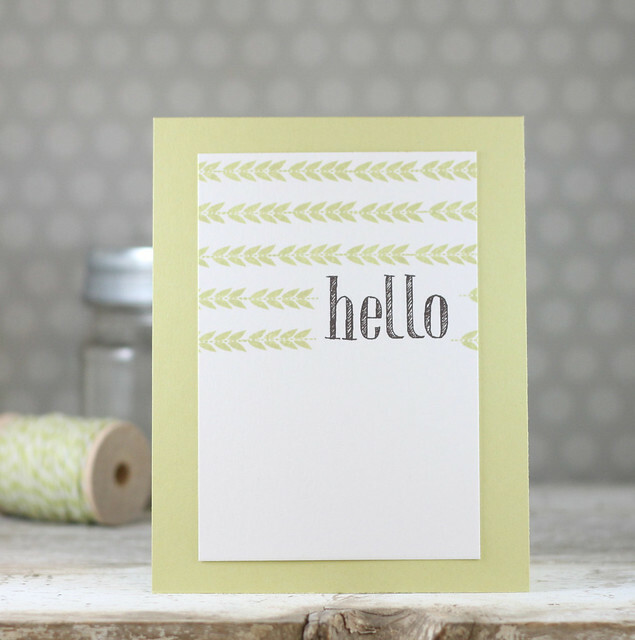 To finish it off, I added in 3 mint enamel dots and a sentiment. I am off to go and sit on the porch. It's gorgeous outside and I need to soak it in. I love when the weather changes and it gets cooler. Especially after the crazy hot we have had here this summer! The leaves are stamped in Spring Moss to match the card base. 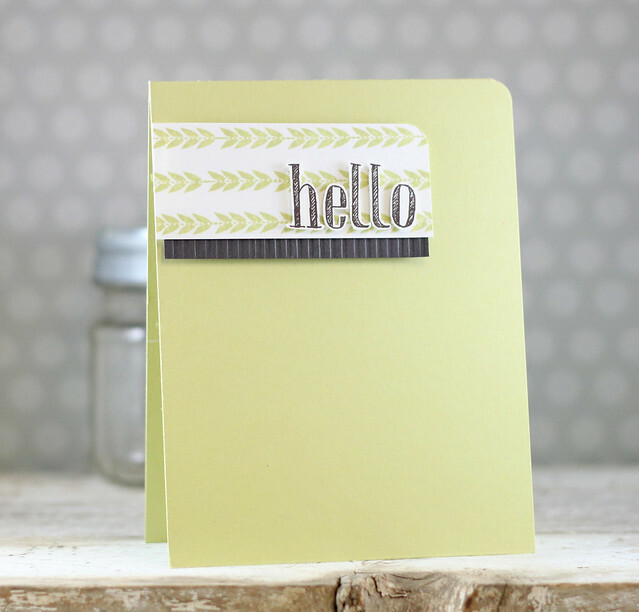 I used Scribbled Sentiments on the first try so for this card, I fussy cut out each letter. I added in some scored smokey shadow on try 2.0, so on this one I cut that down into a smaller strip. I think I like version 3.0 better! I hope that you have had a fun day and I am so glad you could hang out with all of us. 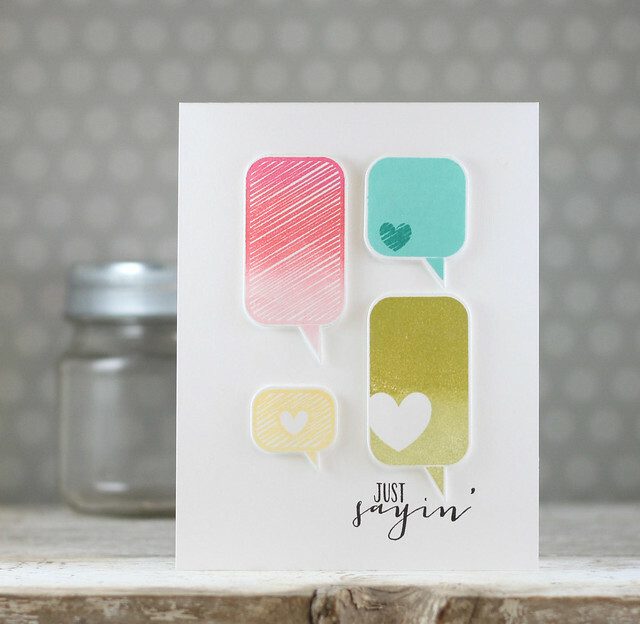 Stop over to Nichole's blog to see the wrap up for the day. There is still more time to play along so pick a challenge and jump in, if you haven't started yet. 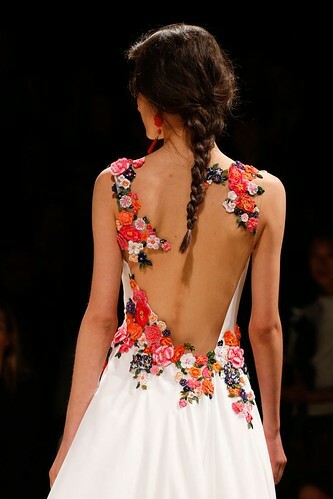 To pull off this look, I knew instantly I would use Garden Grace for the flowers and fined look. I stamped the first layer in Berry Sorbet and the outline in Pure Poppy. The leaves are Simply Chartreuse. I added in the sentiment in True Black and to finish it off, I cut the card front at an angle and added it to the card base with foam backing. I felt like that angle also mimicked the dress in the inspiration photo. I did add some Rainstones to give it a little more detail. 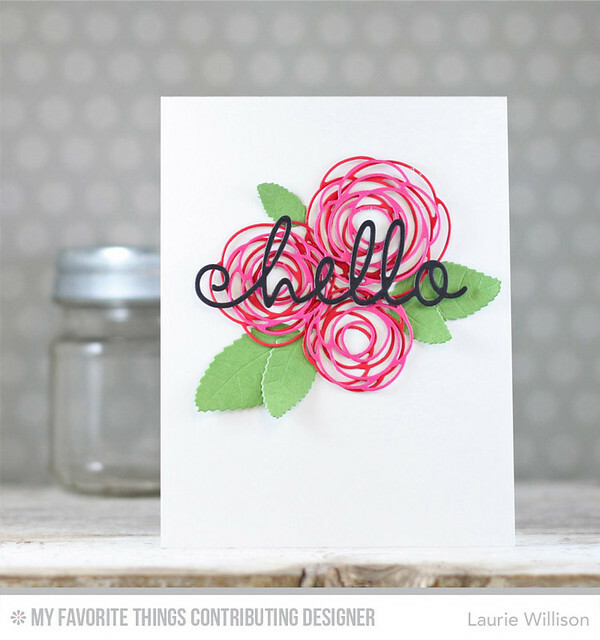 Head on over to Nichole's blog to see what the rest of the team has for us today. 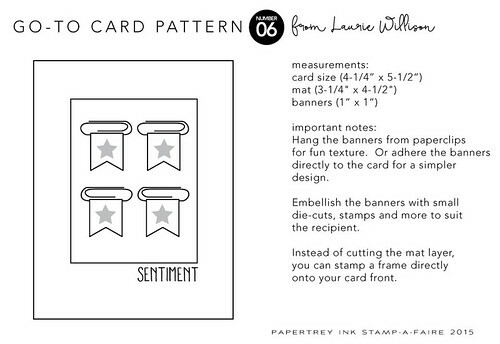 You can also see all the details on how to play along too! Thanks for stopping in! Are you have a blast today? So many fun challenges today and I hope you have had time to play along. The next challenge up is Unconventional Materials. I like to think of myself as a DIY around the house type girl. 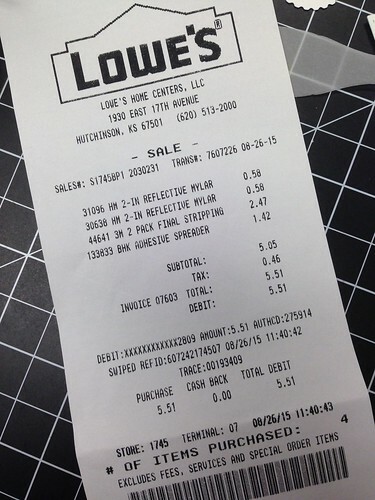 I love to build and I do love to spend time in Lowe's. That being said, I just new I was going to find something super fun to create a card with. 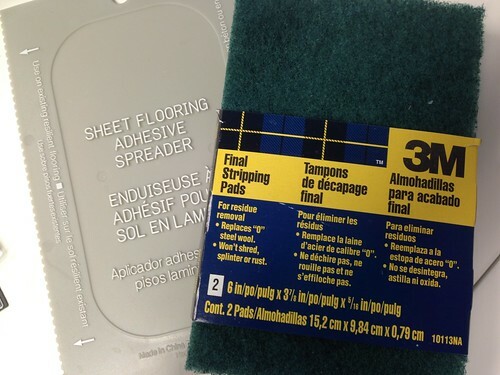 Well, I did come up with anything to use ON my card but I did find a couple things to use in actually making the card. First up, here is my card.... I like to call it "tiling in process". 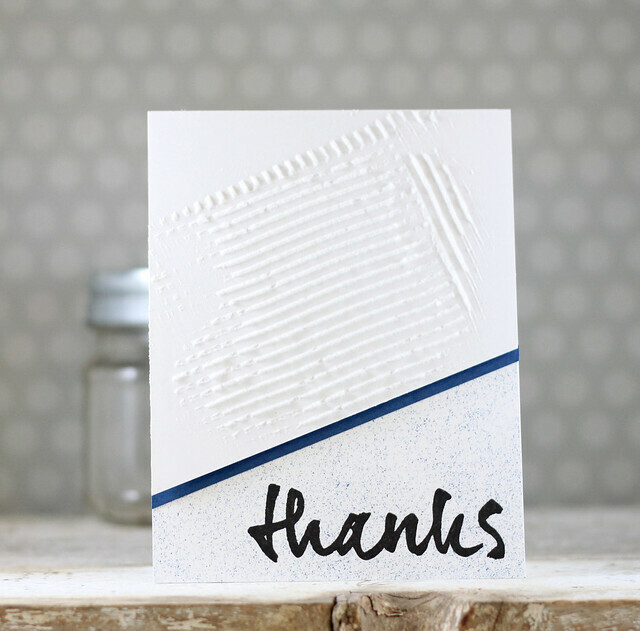 Maybe a thank you card for a contractor or a fix it guy! 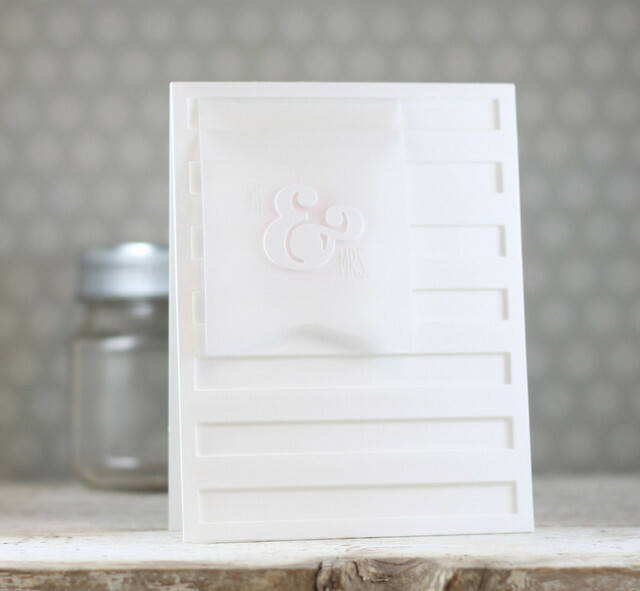 I used some white Wendy Vechi Embossing paste and then used a Sheet Flooring Adhesive spreader to make a little textured space at the top of the card. For the bottom of the card, I inked up the Stripping Pad with some Enchanted Evening ink and pressed the card base right down on top. It gave it a fun texted, speckley look. 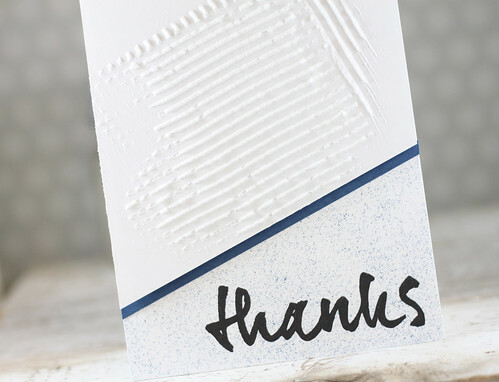 I wanted to add a bold Thank you so I finished the card off with "thanks" at the bottom of the card. 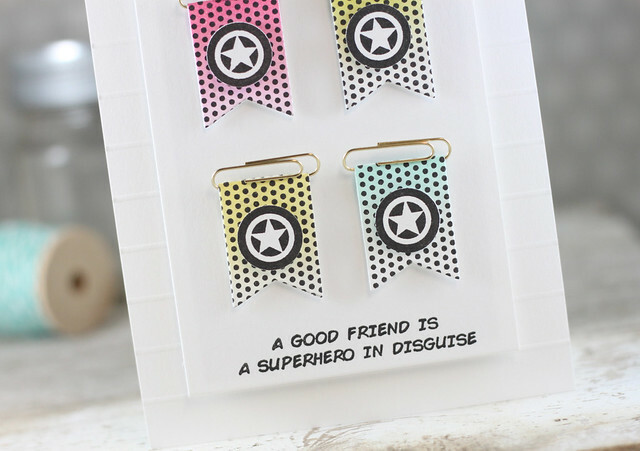 This first card uses Lexi's Superhero Stamp set. 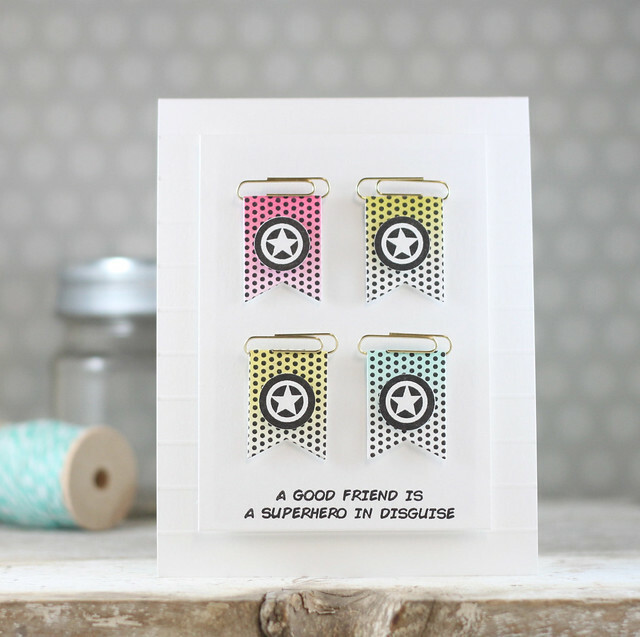 I used the dies from the Clipsters Kit for the littler banners, stamping the polka backgrounds after doing a little ink blending on each banner. I added each banner to a paperclip and popped them up on foam tape. I scored my card base, as usual, every half inch and then added the card front in with more foam tape. 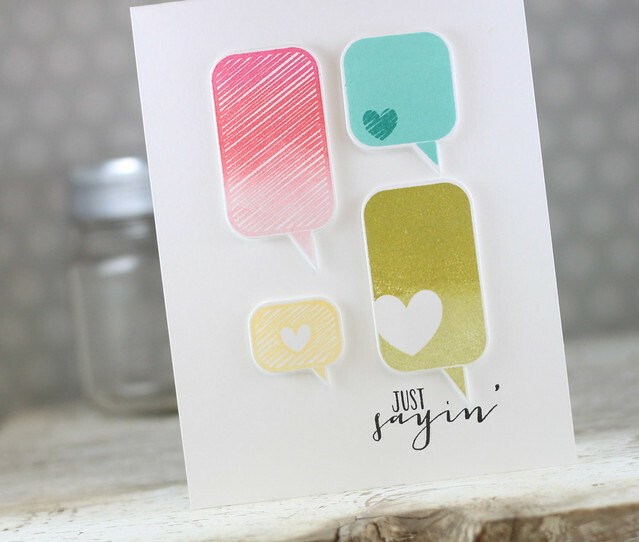 I added in some ombre stamping on the speech bubbles and then lined them up according to the pattern. I added in the sentiment last and kept this one nice and simple. Lots more to see for sure! Stop over to Nichole's blog and catch up on all there is to see. 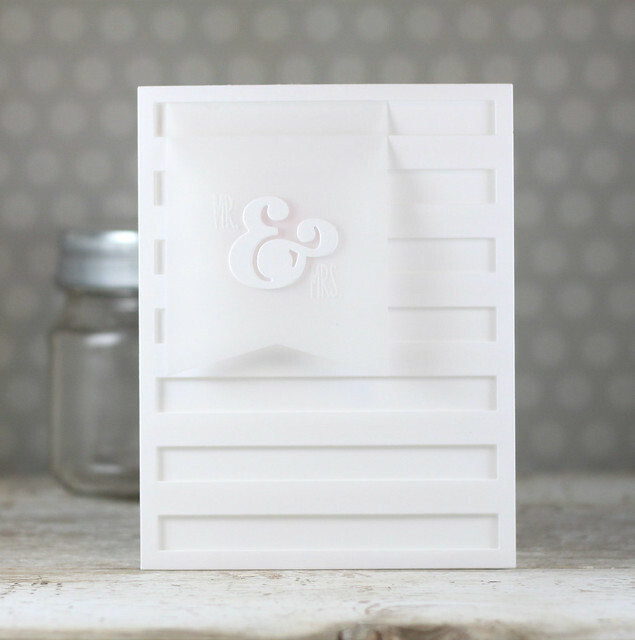 I used Cover Plate: Stripes Horizontal for the background on top of the white card base. I popped the cover plate up with stripes of foam tape for dimension. 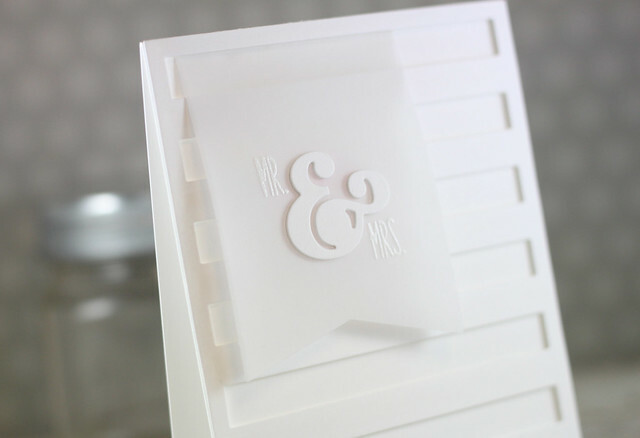 I heat embossed the "Mr" and "Mrs" from Grand Ampersand and added in the Ampersand die to the vellum banner. The banner is from the bottom of the Wine Bottle Tag die. I attached it inside the top of the cover plate. 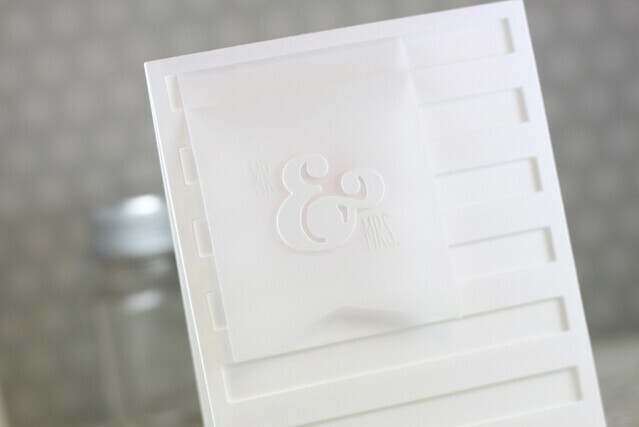 I can't wait to see what you create in the all White Wedding theme this morning! Do you get to play along? I hope so! 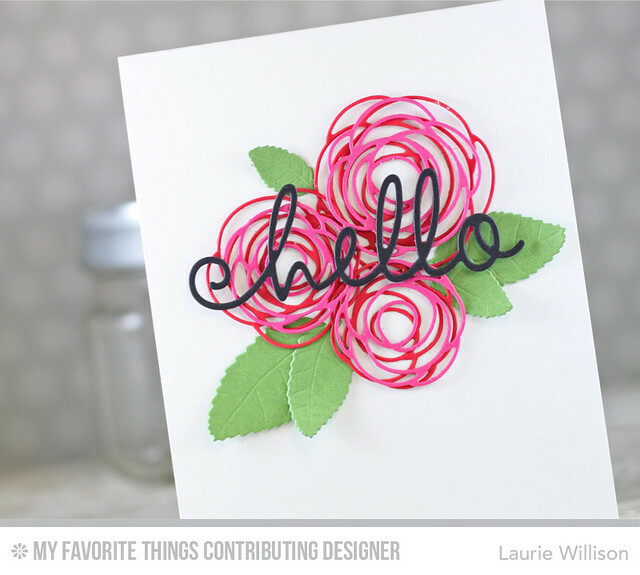 I die cut 6 roses, 3 in Wild Cherry and 3 in Razzle Berry, along with the Royal leaves in Gumdrop Green and the hello die in black. I piled them all up and used spray adhesive to stack them up so there is still dimension in all of the little details. Super easy! 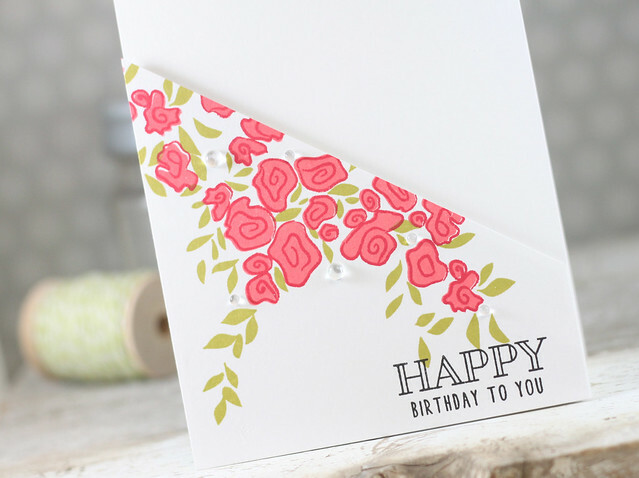 I just love the embossed detail in those leaves! Definitely a favorite! Hope you like my card today! Thanks for stopping in!